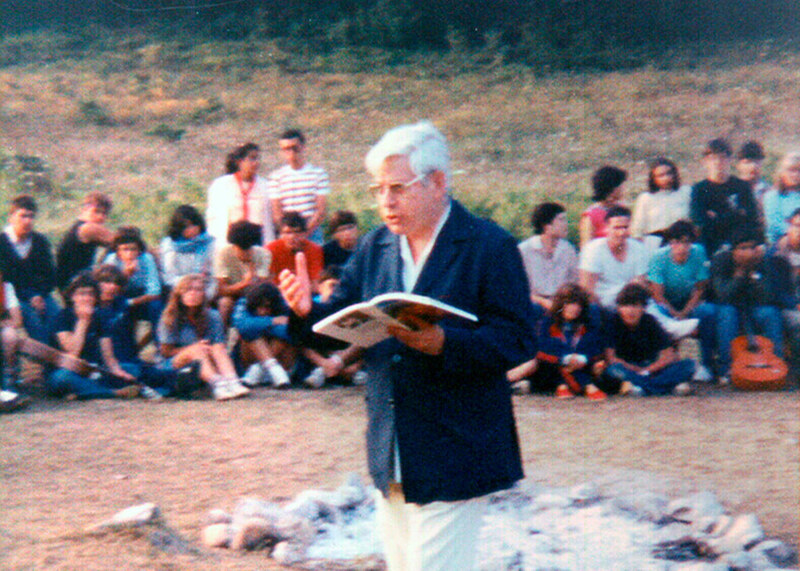 In July 1975 the men and women Idente Missionaries in Barcelona organized a summer camp for catechumens—i.e., children and teenagers who were attracted by the spirituality of the community. Fernando Rielo, our Founder, inaugurated this first camp on July 6, thereby rendering it a founding event. It was held in Can Bordoi, a lovely lodge in Llinars del Vallés, where the forest would witness the beginnings of Idente Youth. Indeed, Idente Youth really started at that Camp, which left its mark on future activities, since truthfulness, generosity, and a sense of honor are the virtues which are especially sharpened and refined in the camping experience. It was in July 1976, however, when the guidelines provided by our Founder began to be put into practice. The first such event for children, called San Fernando Camp, took place in the Benasque Valley (Huesca, Spain). By then tents had been acquired for the campers. On that occasion, during our Founder’s visit, the Fire Hymn was instituted. 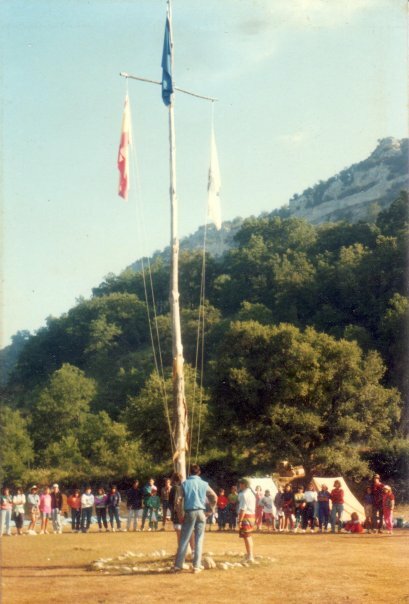 In 1977 three camps were held: St. Sebastian Camp in Farga-Queralbs, Gerona; Holy Cross Camp in Albacete; and a third camp in La Coruña—all open to campers from anywhere in Spain. These events were characterized by a special focus on teaching the concrete activities in keeping with the style proper to all Idente Youth Camps. It was at the St. Sebastian Camp in Gerona that the Hymn to the Flag was composed. In 1978 camps for teenagers began, representing a significant step towards the constitution of the various local branches of Idente Youth. 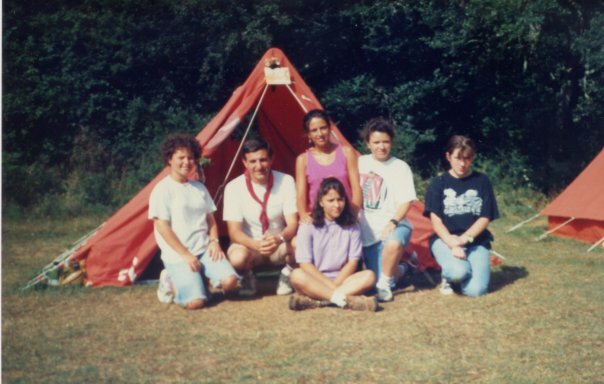 That year there was a single National Camp for children, followed by another for young people in Casavieja (Ávila, Spain). 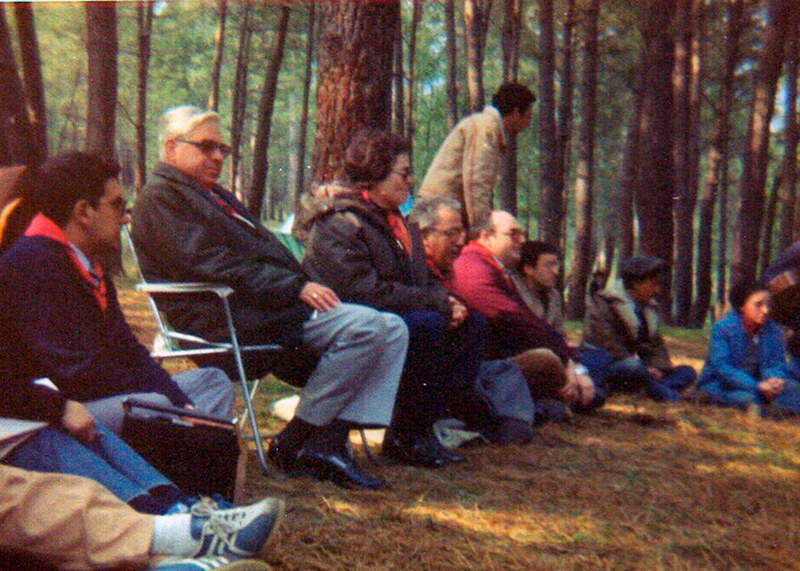 In 1979 a major addition appeared in the Camps—and later in the local branches—with the introduction of the Open Seminar. Camps were held in four geographical areas of Spain. • Quintanabaldo, Burgos: the first camp at a site which has become famous for Idente Youth, especially in Spain, with two shifts, for children and young people, respectively. • Casavieja, Ávila: organized in two shifts, as in Burgos. • Benasque, Huesca: the first International Camp held by Idente Youth, with significant participation by Italian and French young people. • La Orotava, Tenerife: the first camp held in the Canary Islands, with the participation of both children and young people at the same time. 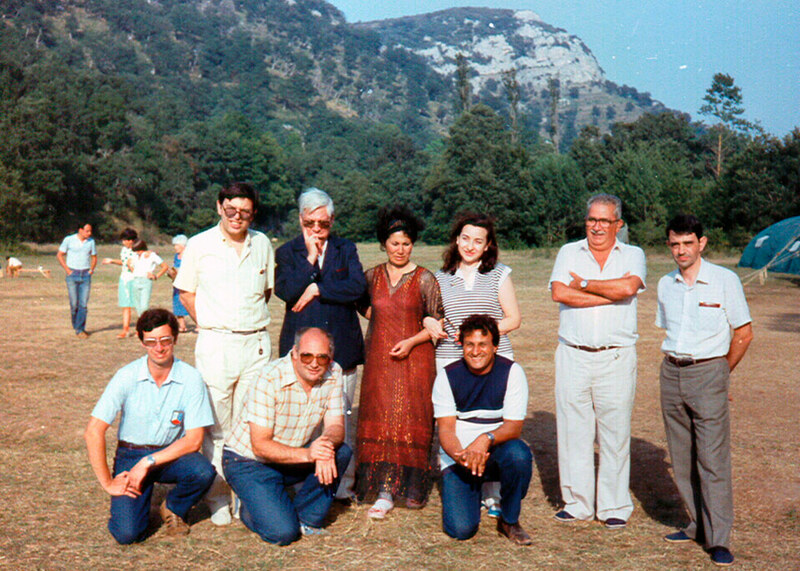 In 1980 Idente Youth became more international, with camps held in other countries. First of all, a Teaching Camp for Instructors was held in Arafo, Tenerife, which sought to provide greater depth and unity to orientations for future camps. 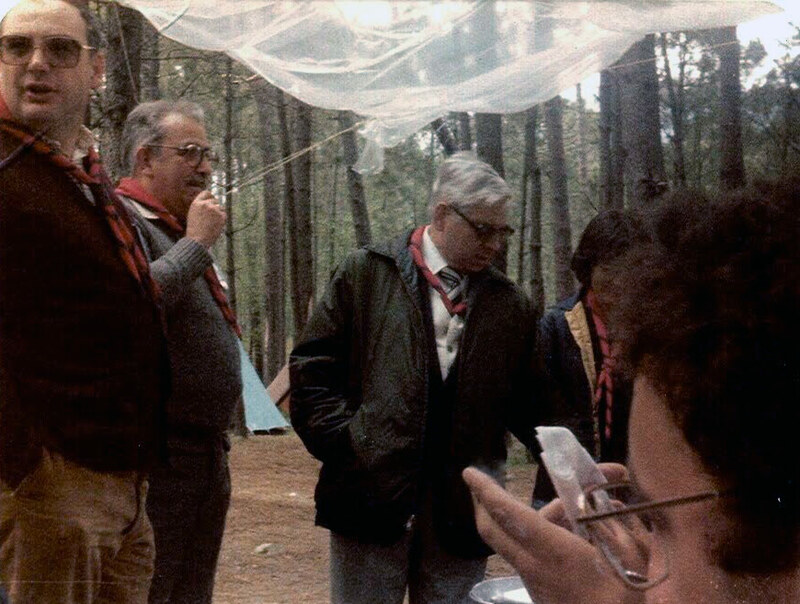 The In Crescendo Camp was the first to be organized in Peru. The Rieti Camps, held separately for children and young people, took place in El Colle di Tora, Italy and included campers from Germany, Turkey, France, Andorra, and Spain. The following camps were held in Spain: Icod de los Vinos, Canary Islands; Quintanablado, Burgos; Aguas Blancas, Granada; and Benasque, Huesca—all included both children and young people. The Benasque Camp continued to be the International Camp in Spain, with participants from Turkey, Austria, France, and Italy. That year Peripatetic Activity was introduced as specific to the camps. 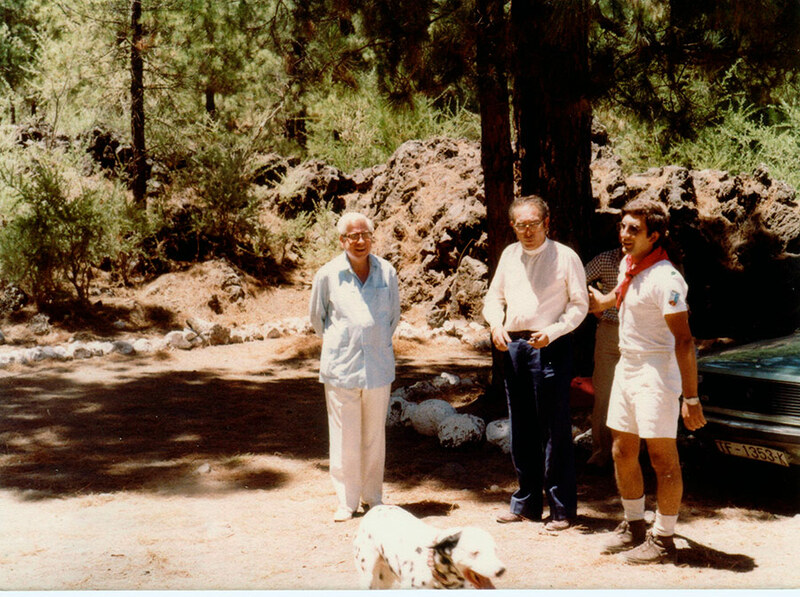 In 1981 camps were consolidated in Italy and Spain, where events were held in the Canary Islands (La Gomera), Quintanabaldo, and the Pyrenees (Bujaruelo). In the Canary Islands the Skyblue Flag was raised for the first time. Camps also began in the United States. 1982 was significant for the camps in Spain, since Quintanabaldo became firmly established as the permanent site for both national and international camps every year in the peninsula. 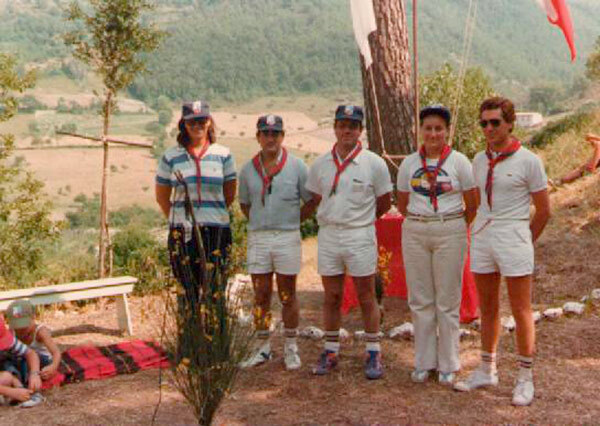 The name Sirio Camp was chosen by the young people in Quintanabaldo, where new facilities had been installed with the help of instructors and IY members from all over Spain, thereby initiating the tradition of the periodic Quintanabaldo Work Camps, whose purpose was to prepare not only the summer camps, but the venue for other events of Idente Youth, such as Teaching Camps and the World Youth Parliament. That year, for the first time in Quintanabaldo, the Camp Chapter, the Camp Promise, and the raising of the Skyblue Flag were instituted. In 1983 the camping tradition was definitively consolidated in North and South America and Europe, notably in Italy and Spain (Canary Islands and Quintanabaldo). Spanish Idente Youth signed an exchange agreement with the Egyptian government, facilitating the presence in 1983 and 1984 of young people from a different culture, with different customs and Islamic religious beliefs. Universality and openness are key traits of Idente Youth which became manifest in those summers. Our Founder visited the Quintanabaldo Camp, sharing in the experience of the Egyptian young people. 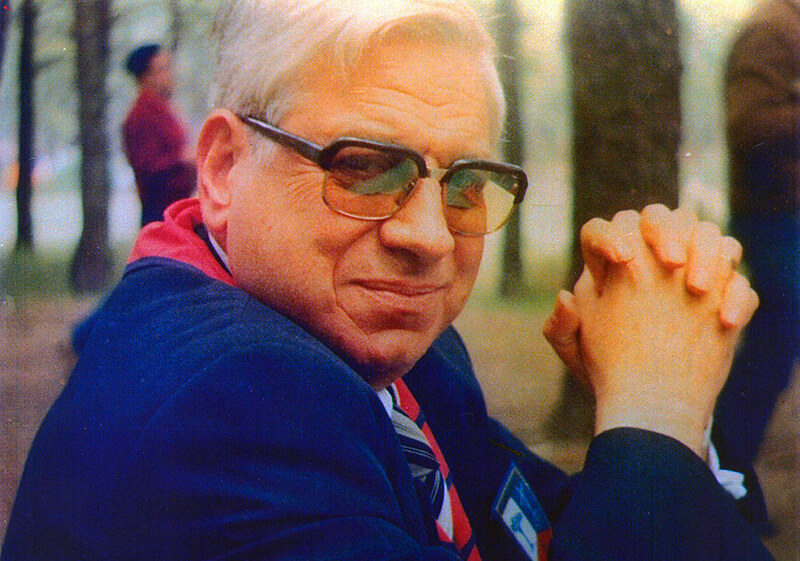 In 1985, which the UN proclaimed International Youth Year, the camp began to work with children and young people with difficulties in fitting in, thereby entering upon a path where the Founder’s universal openness could become more concrete as an educational challenge for the corps of instructors. 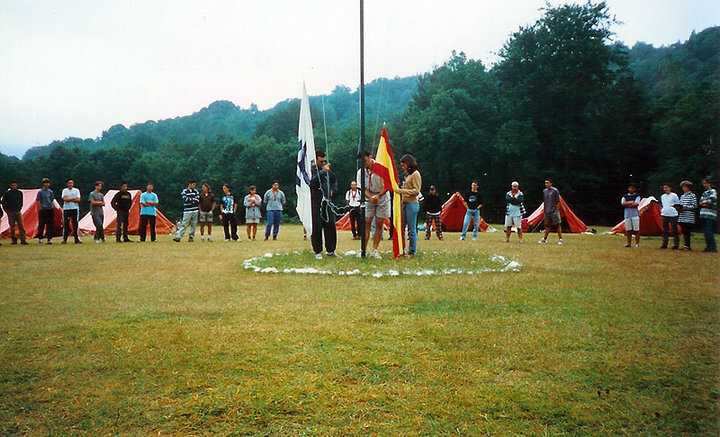 Idente Youth also reached an agreement with Poland so that Polish young people could attend the Quintanabaldo Camp in 1985 and 1986, enriching the experience of campers from Spain and other European countries. In 1987 an agreement was made with a Spanish state-run company, as a result of which numerous children and young people from the families of the personnel attended the Quintanabaldo Camp, where there were more than two hundred campers in all. The School for Instructors also advanced significantly in the IY branches. 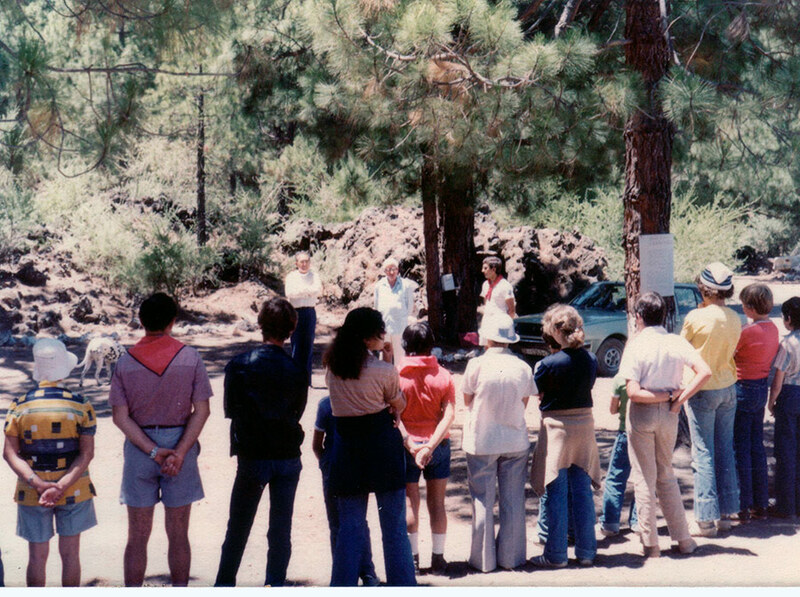 In 1988, for the first time a large group of young people from the United States took part in Quintanabaldo, further broadening the cross-cultural and international experience at the camps. Beginning in 1990, Idente Youth in Spain gained increasing public recognition for its educational role, as demonstrated by varied requests from regional and municipal governments for cooperation agreements to foster participation by children and young people under their jurisdiction. Idente Youth was gradually growing in other countries as well, with the resulting need to perfect the training of instructors so that both camps and other activities could achieve their educational goals. The camps represent the historical origin of Idente Youth and a special place for children, young people, and instructors to live out the IY ideals in the form of a universal city, leaving an indelible trace upon the lives of everyone associated with them. The challenge for every camp is thus to make the final stanza of the Hymn to the Flag come true. In our lives we shall go forward.